What are the best wines in Tuscany? Italy is known for producing a number of quality wines, and this is especially true of Tuscany. Sangiovese grapes, with their fruity and aromatic aura, are the foundation of Tuscan winemaking. Tuscany’s hilly terrain and warm Mediterranean climate prove beneficial for the growth of these grapes, meaning that Tuscany has no shortage of delicious wine. 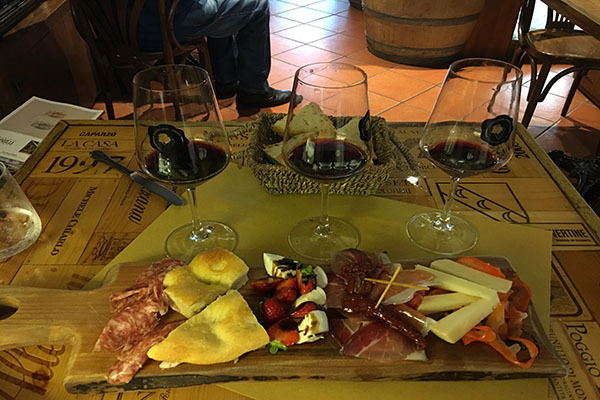 Whether you desire a journey to experience Tuscany’s best wines or you are simply curious as to what they consist of, here’s a rundown of the best that Tuscany has to offer! 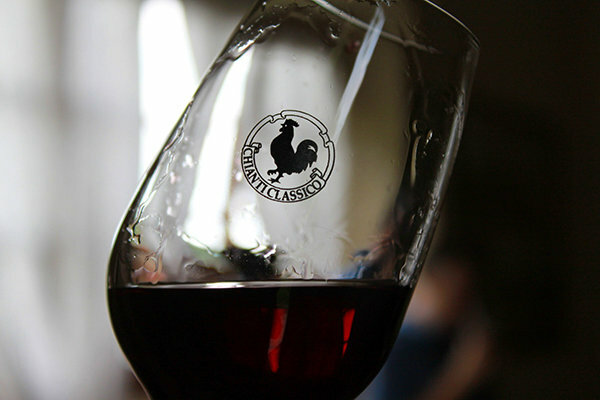 Without a doubt, Chianti is one of the best known and loved wines to come out of Tuscany. 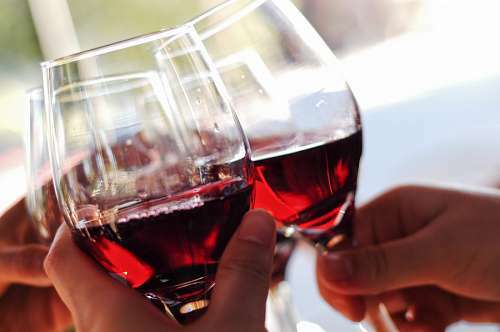 Chianti wines are made within the Chianti region of Tuscany, and while they vary in composition, some common traits that are generally shared among them include a dry character, a bright, cherry-like aroma and flavor, and a satisfying level of acidity. Like many Italian wines, Chianti tastes excellent with food. More specifically, it pairs well with many meat dishes (an example being the legendary Bistecca alla Fiorentina, or T-bone steak) and dishes containing red sauce. Chiantis, like many Tuscan wines, are primarily made from the Sangiovese grape. Another delicious wine originating in Tuscany is Brunello di Montalcino. Known as one of the most rare and expensive wines to come out of Italy, Brunello di Montalcino is grown in vineyards surrounding the town of Montalcino, about 50 miles south of Florence. As per governmental regulations, Brunello di Montalcino must be made from 100% Sangiovese grapes. What separates this wine from others made of Sangiovese grapes, however, is the conditions in which the grapes are grown. Montalcino’s climate and altitude are such that the grapes ripen more fully than anywhere else in Tuscany, giving the wine a distinctly unique profile. Brunello di Montalcino retains a fruity character but has darker traits than Chianti, with notes of blackberry, chocolate, and leather, among other things. Like Chianti, Brunello di Montalcino has a high level of acidity, which makes it a terrific wine to pair with food (especially grilled meats). So while Montalcino and Chianti hold the distinction of being Tuscany’s two main Sangiovese variants, Tuscany is also home to the “Super Tuscans.” What, exactly, have the super Tuscans done to earn the title of “Super?” While nobody knows for sure where the name originated, Super Tuscans are unique from other Tuscan wine in that they don’t adhere to the strict regulations of the Italian government’s classification system. This allows winemakers to create red blends with non-indigenous grapes, resulting in more inventive, creative and delicious wines. Some super Tuscans retain the use of Sangiovese grapes, whereas others may be made solely from Merlot or a blend of Cabernet Sauvignon and Syrah; no matter what, though, Super Tuscans all share the tendency to have big, bold flavors and a high level of desirability. The scope of winemaking in Tuscany is quite vast—some other varieties of Tuscan wine include Bolgheri, Rosso di Montalcino and Vino Nobile di Montepulciano all of which have the Italian government’s seal of approval. If there’s one thing we can be certain of, there’s a Tuscan wine out there to suit any personal taste. 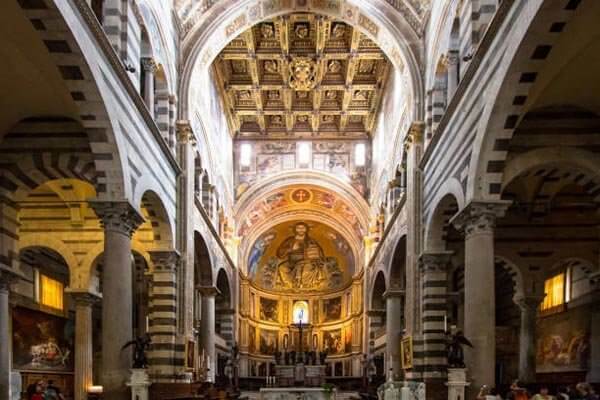 On our Highlights of Florence and Tuscany Experience, good food and good wine abound, so why not take the opportunity to sample the best wines in Tuscany with us at A Toast to Travel? 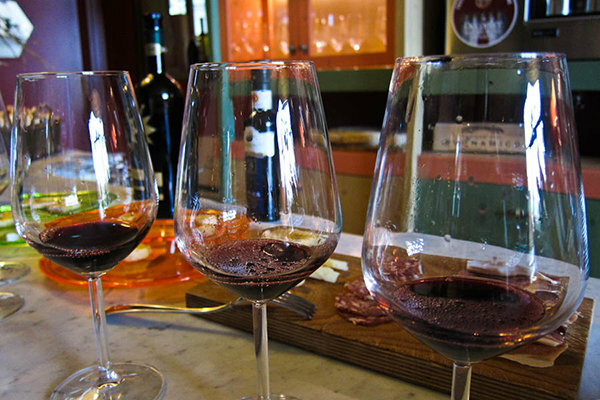 Share This Story: What are the best wines in Tuscany? 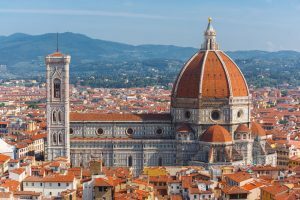 Many different reviews of so many different restaurants have been written about one of the best cities in the world—Florence! 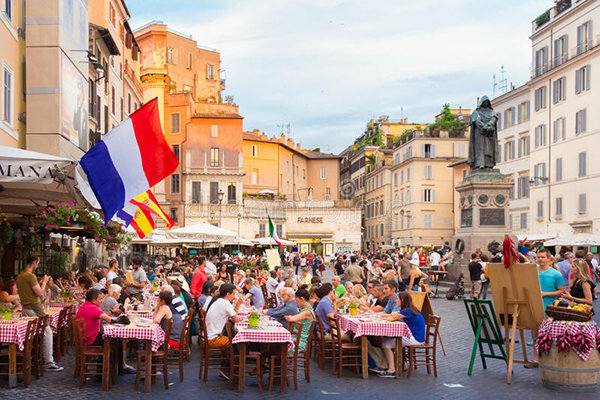 With so much to see in and do in this beautiful city during your Italy tours, it’s amazing one finds time to eat but eventually, we all do. Travelling to and living in Florence for many years, we’ve seen restaurants come and go but there are some that we will never forget. We always recommend living like a local and eating where the locals eat. 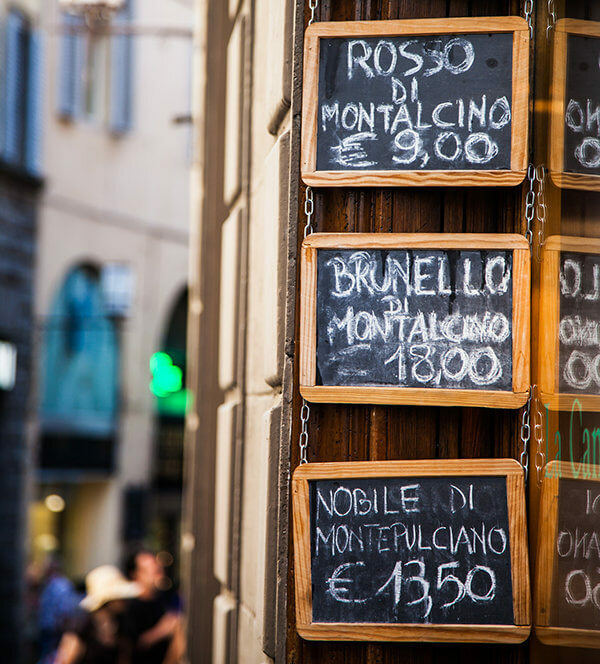 Unfortunately, Florence has many tourist traps where the food is subpar and the prices are high. 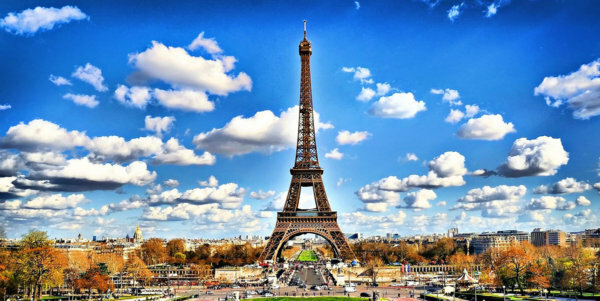 Here are a few of our restaurant recommendations where you can eat like a local and enjoy la dolce vita! 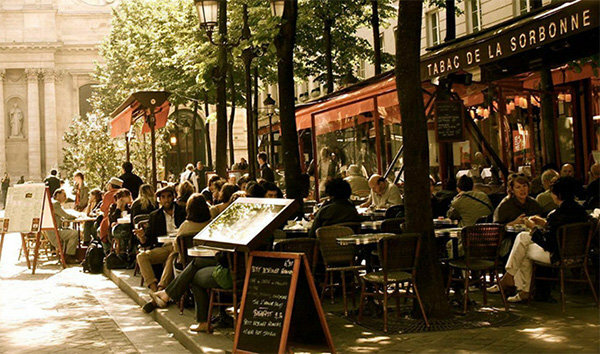 Centrally located but on a side, quiet street, here you’ll find great food and great service. The restaurant is divided into two different rooms with the open kitchen in the middle. As a matter of fact, when you walk in, you can greet the cooks! The pasta is wonderfully fresh and the bistecca alla Fiorentina one of the best. The wine selection is really good too—try a Brunello di Montalcino with your steak. Near the central market, this is by far one of my favorite restaurants in Florence. You’re greeted by one of the great staff (many of whom have worked there for a very long time) as family. Most of the time, you’re also greeted with a complimentary glass of Prosecco to begin your experience. 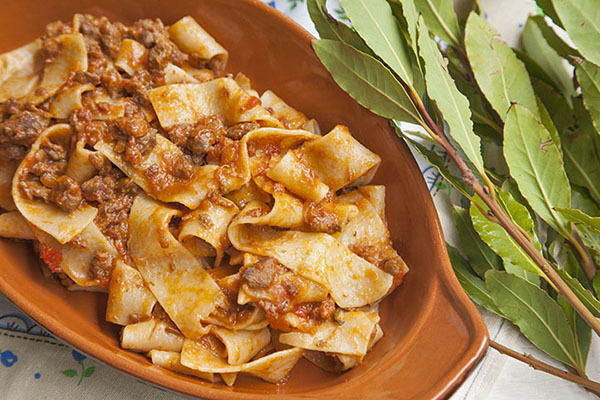 The pasta selection is all fresh and delicious—try the pasta with the wild boar sauce. As for your entrée, Le Fonticine is one of the few remaining restaurants in Florence with the wood burning oven as it was grandfathered in when the law changed. This oven further perfects the taste and texture of the bistecca alla Fiorentina. When dining at Le Fonticine, you must order the bistecca or share with others you are dining with. There are many fresh desserts to choose from or try some grappa. Near the center, Alessi is a hidden gem. Although Alessi is a wine bar and retail shop, the food is so good and fresh that it definitely is on our list. You can order a variety of fresh cold cuts, meats, and cheeses to go with your chosen wine or wine flight. You can also order off menu. I usually order a delicious fresh made salad with tuna, olives, beans, lettuce, tomatoes and more. Equally delicious is the freshly made varieties of bruschetta to get you started. All fresh and fantastic! In old Florence on the other side of the river, 4 Leoni is very well known and I highly recommend reservations. The ambiance is warm and the service is good. The restaurant can become quite loud during peak times but all is worth it once you try the food! 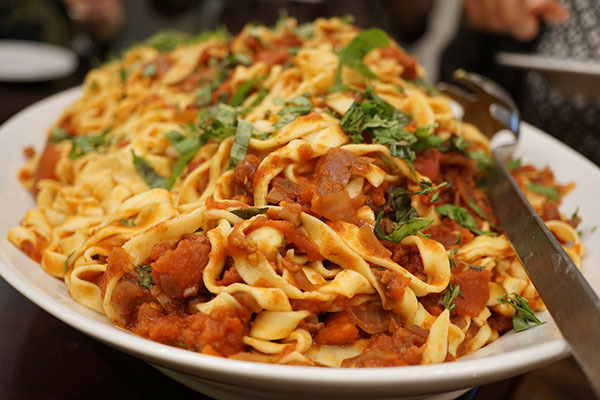 They have an array of delicious pastas and starters (try the Bresaola or Artichokes), mains and desserts. Desserts are a must here including chocolate, pear and apple desserts. Or simply enjoy cantuccini di Prato to dip into your vin santo. 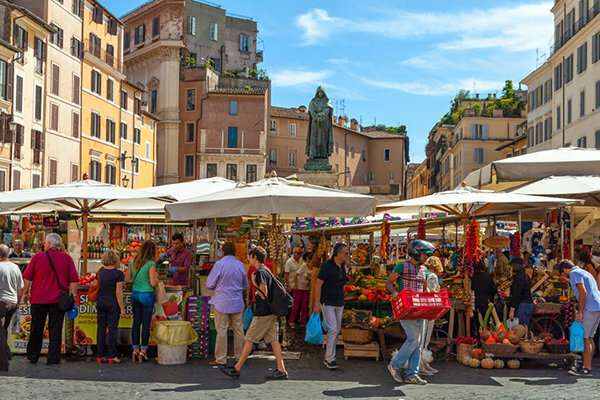 In the historic center not far from the San Lorenzo market, you’ll find Cipolla Rossa. The pasta is very good, fresh and made in house. I highly recommend the gnocchi. There’s plenty of space in the restaurant if you need it for your group. I find the staff friendly and the house Chianti delicious. Buon Appetito! Truffles, Truffles and more Truffles—Let’s Hunt! So, what are Truffles? They are rare, edible mushrooms with an intense aroma and flavor. They grow underground and can be difficult to find. They only grow in certain parts of the world. Certain experts in the past (and some still do) used pigs and hogs to find them—today, in Italy, dogs are used as they don’t eat them as soon as they find them! That was a big problem–the hogs would eat the truffles as soon as they found them before they could be stopped. The dogs, on the other hand, can be trained not to eat them so they end up being a much better choice for the hunt. October and November in Italy are great times to hunt and eat truffles. 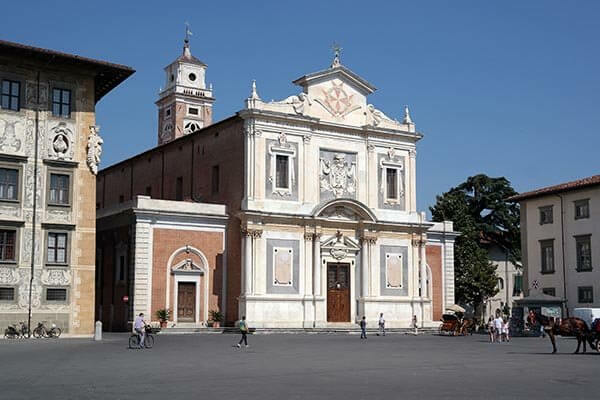 There’s also the Fiera del Tartufo or truffle market which takes places during this time. Prices vary per pound each year. 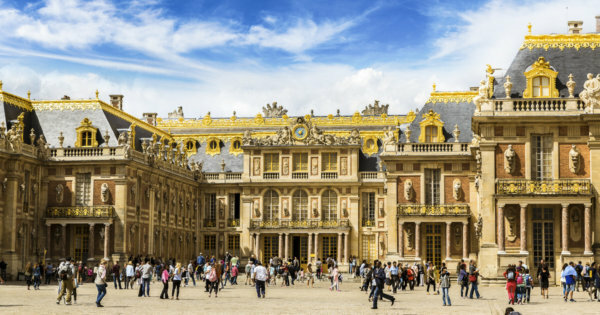 The rarest truffles are the most expensive food in the world. Did you know that the record price paid for a single white truffle was $330,000. 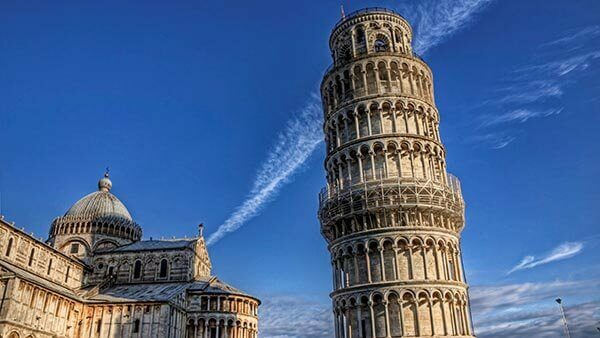 It was unearthed near Pisa, Italy and weighed 3.3 pounds! 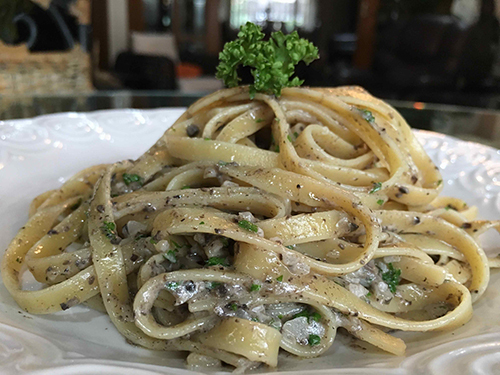 Imagine learning to make hand-made pasta only to drizzle your own creation with a special sauce created by you from the truffles you hunted in the morning! 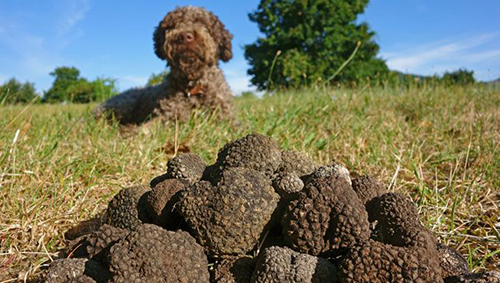 During our Cooking Under the Tuscan Sun Experience, we hunt truffle with truffle hunting experts and their dog. We walk the hills and with the help of the dogs, seek and find the most delectable truffles we can to use later in the kitchen during our hands-on cooking class. Heading over to the kitchen, we learn to make Tagliatelle con Tartufo or Tagliatelle with Truffle sauce. It’s only the start of the week with many authentic recipes to come so pace yourself, pack yourself! Of course with any Tagliatelle con Tartufo wine is a good complement. We usually enjoy a Chianti Riserva with this dish as it brings out the best of each. In Tuscany, there’s always enough Chianti to go around and you certainly can spend your time focusing on wine tasting during The Ultimate Tuscan Wine Experience where we indulge in stunning wineries in Tuscany during tours, wine tastings and exclusive tasting and dinner menus. 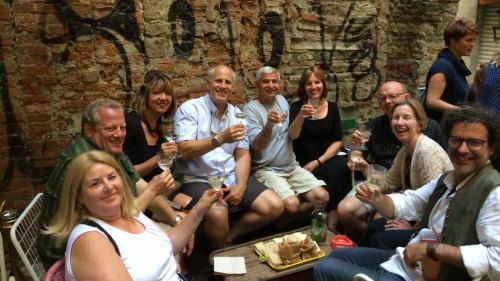 It’s all part of living like a local with A Toast to Travel. 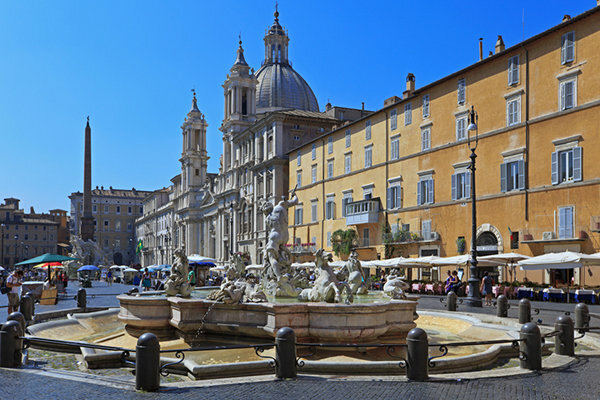 If you’ve always wanted to visit Italy or if you’ve already been and have always wanted to go back, now’s the time to pack your bags. All you need to do is get there and we’ll handle the rest! 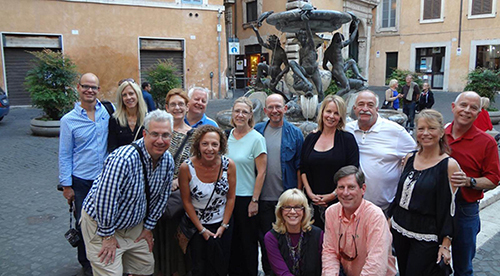 A Toast to Travel introduces Corporate Team Building and Corporate Retreat Experiences. Check out our version of these Experiences. We tweak our Cooking Under the Tuscan Sun Cooking Experience to re-invent these Corporate Experiences.